So I grabbed my storm paddle, bilge pump, and life jacket and took a bus to the train station. I found a machine and tried to buy a ticket from it using my credit card. My card was denied. I didn’t have any local money. I didn’t have time to look for an exchange booth as I was cutting my arrival close. 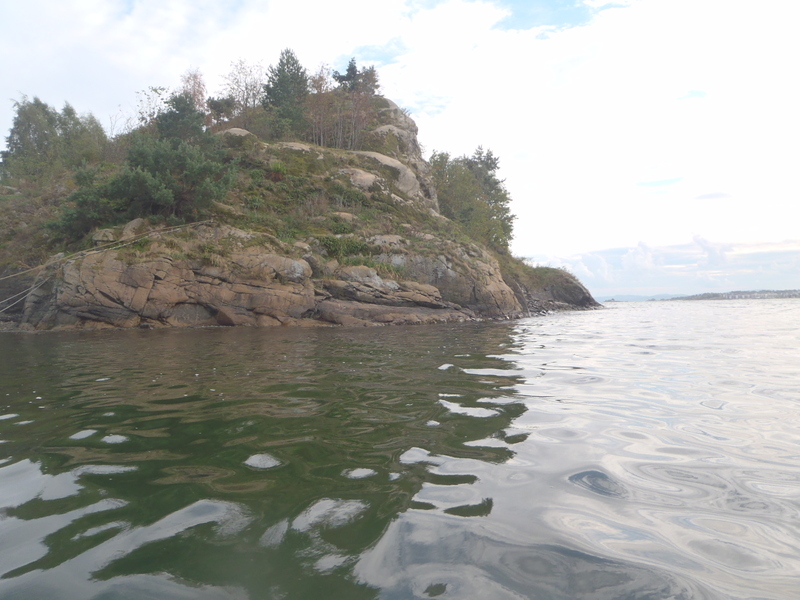 All I had to do, in order to go kayaking, was be there at 16:30. Rats. I set the problem aside and went looking for track number 13*. I couldn’t find it. I asked a tall blonde guy how to get to Lysaker**. “You need the train station, this is the subway station. Go up there and take a right." He told me pointing. I went up there and took a right, still underground, I understood the Norwegian signs might be telling me I was now in the train station. There was a ticket booth with a person behind it. I waited in line. There was one person in front of me. He was American. Damn, a tourist. He was talking with the lady in the booth. He was smiling. She was smiling. They were having a good talk. I looked at my watch again. Seconds ticked by, and no matter how many times I looked at it, they wouldn’t stop talking. Sometimes papers or money would be handed back and forth. Things would be written down. And I would get hopeful that soon this conversation would come to an end and I would get to go kayaking. But alas, it would be followed by more talking. Then they were done. In under a minute I had a ticket, my credit card swipe was followed by a gratifying confirmation of the amount to be paid. I knew where to find my track and was on my way. I got off the train in Lysaker, only a few hundred yards beyond where I had walked a couple of days earlier. 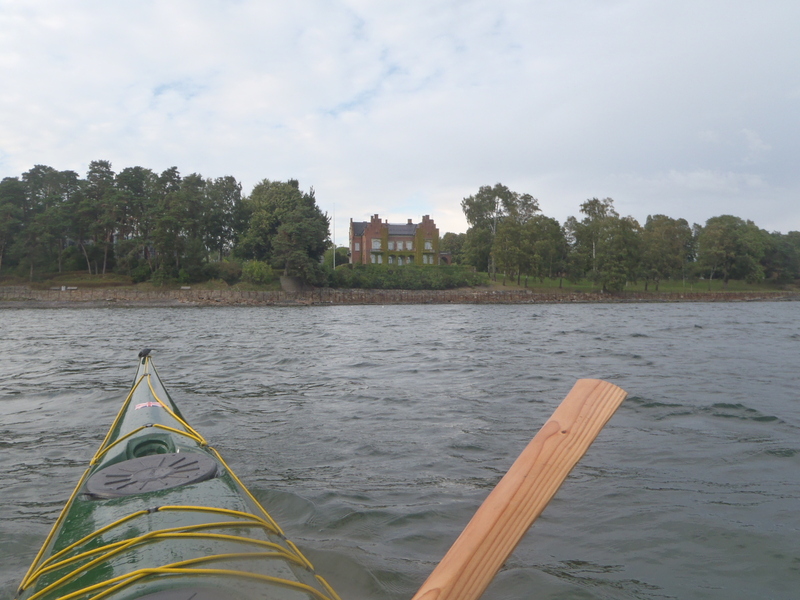 I found the Gjensidige building, and went behind it to the marina. A van pulled up with a kayak trailer. 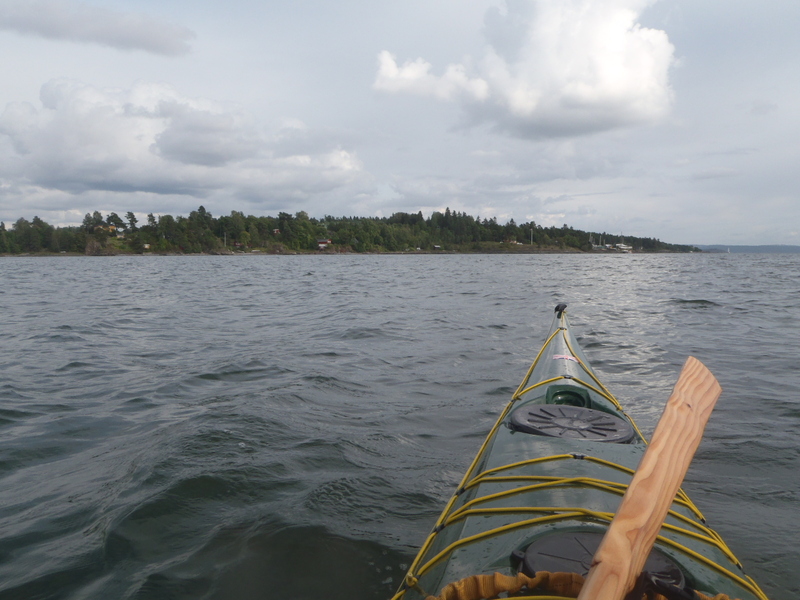 I approached, introduced myself, and made friends with the older kayak instructor who was standing in for Einar. I helped him unload the boats as a small crowd, mostly young folk, showed up and began putting on dry suits for their exciting second kayaking lesson. 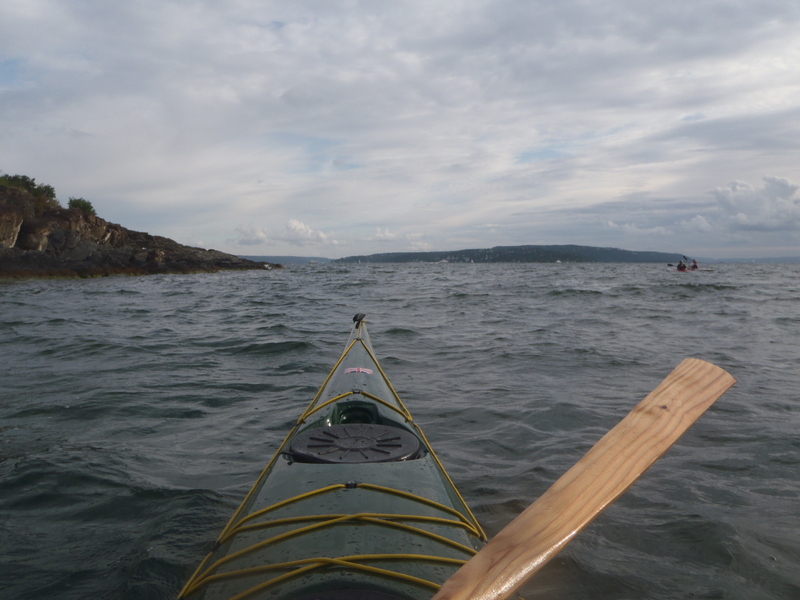 We compared our Greenland paddles and talked about the fjord and where I might enjoy going once out on the water. I would have guessed my host’s age to be something over 60 (70+ even?) 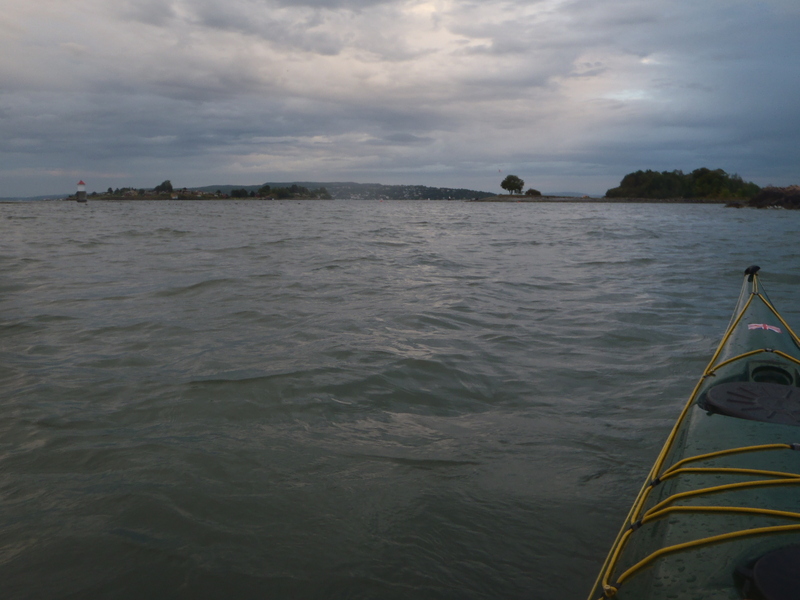 yet he pulled the kayaks off of the trailer as spryly as his teenage assistant, Einar’s son, who had also come to teach. 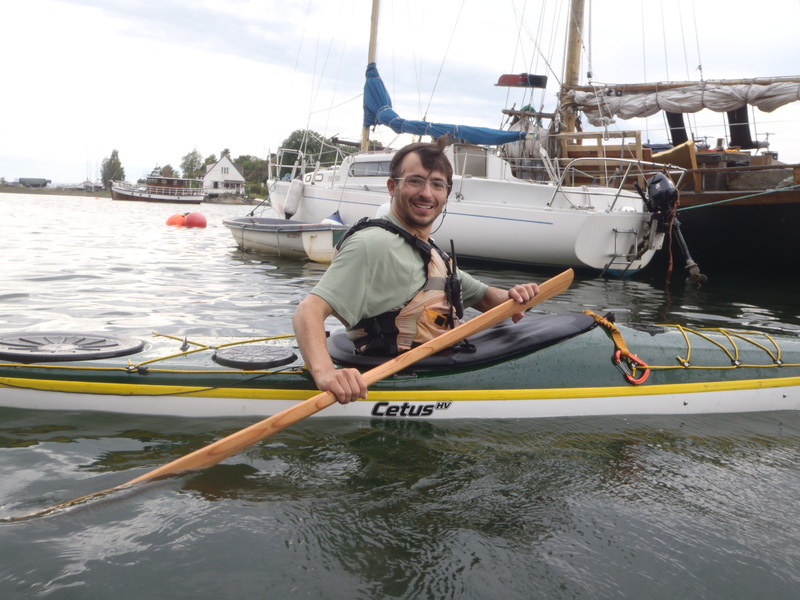 My Host kindly provided me with a standard sort of fiberglass sea kayak, a tank compared to the Nelo Inuk I trained in, but nevertheless much appreciated. 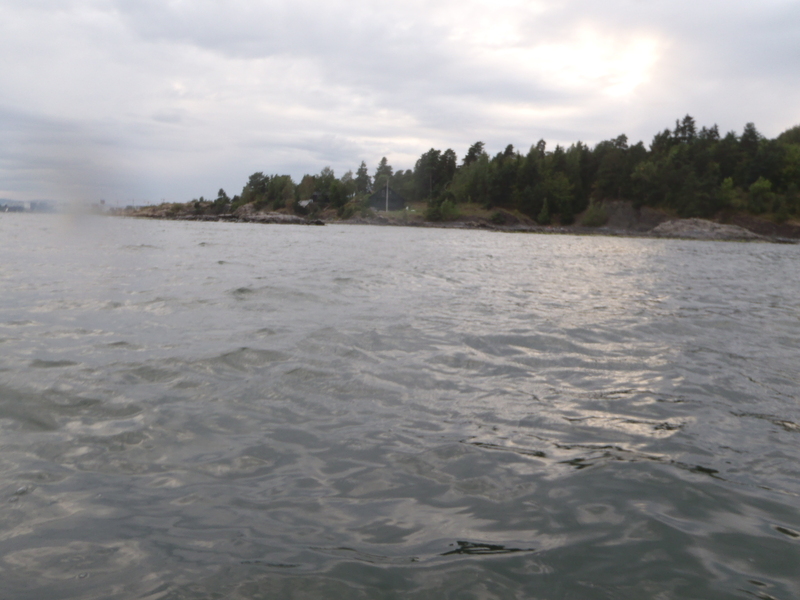 He suggested that I probably wouldn’t need a spray skirt, competent paddler that I am on the fairly calm fjord. “No no, I need a spray skirt.” I told him. “No, I doubt it.” He said in disbelief. 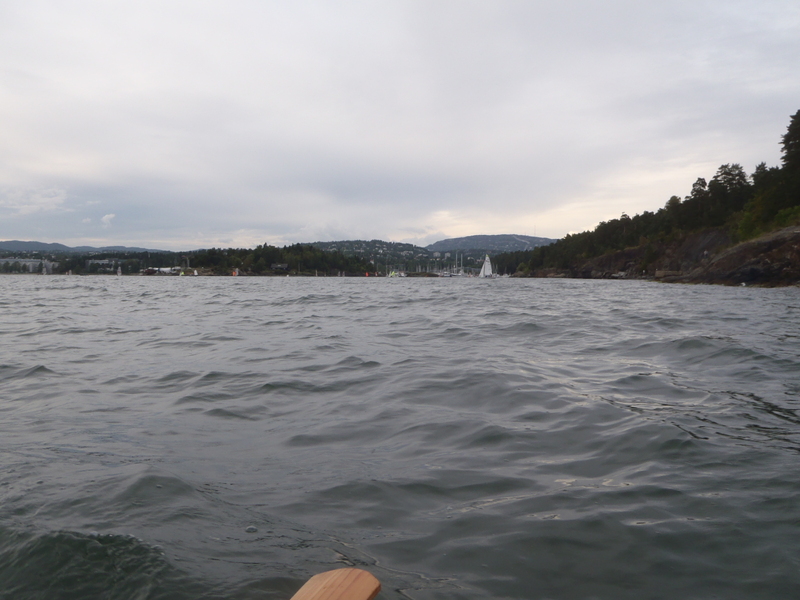 If I had such a nice paddle, I must have been a good enough kayaker not to capsize that boat on the fjord. 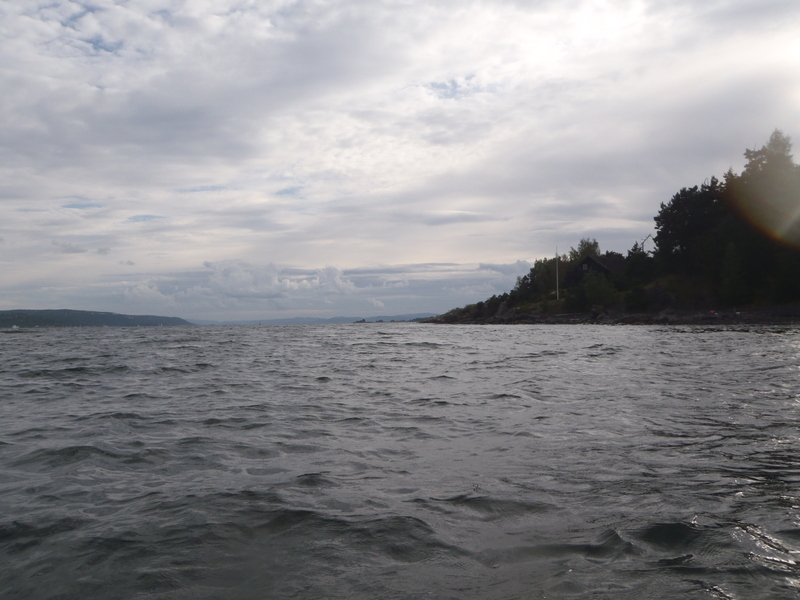 I carried the boat down to the water, put it down on the fjord***, and got in. 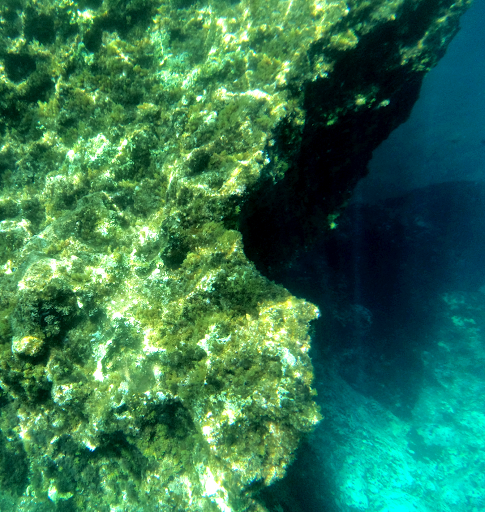 The water was calm. Behind me was the marina and apartment buildings. 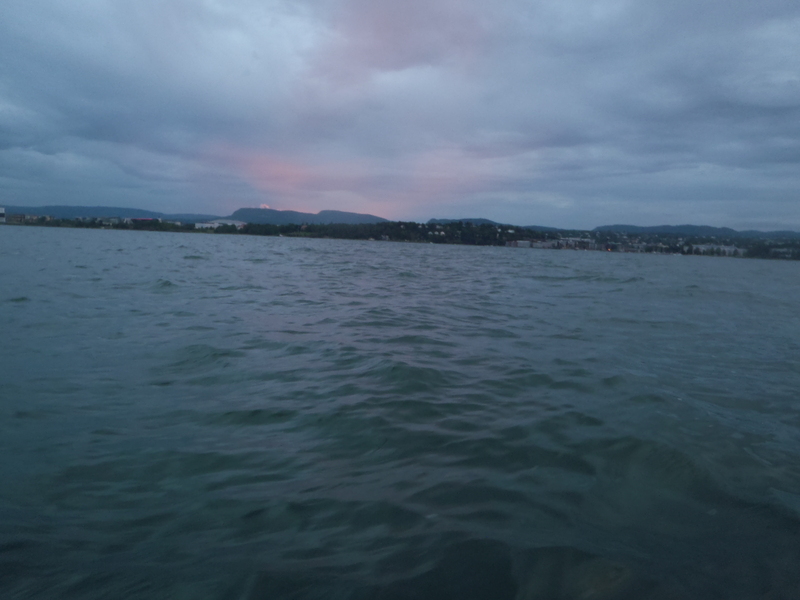 In front of me, the sea and hills. I rolled. Being new to the kayak, it felt a little jerky and awkward. The water was cool but not cold. I rolled again. And again and again until they were smooth and felt natural. I left the marina. 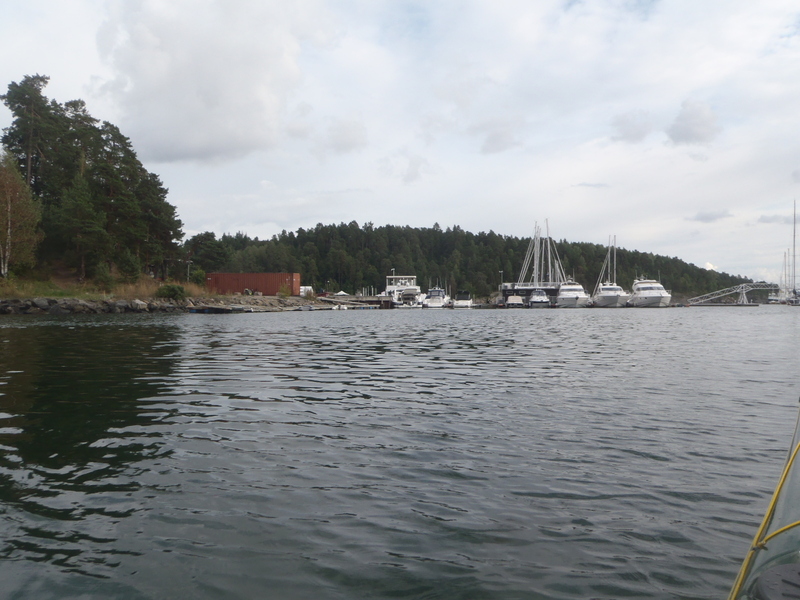 I began to circumnavigate a small island just to the north and found myself in another marina. 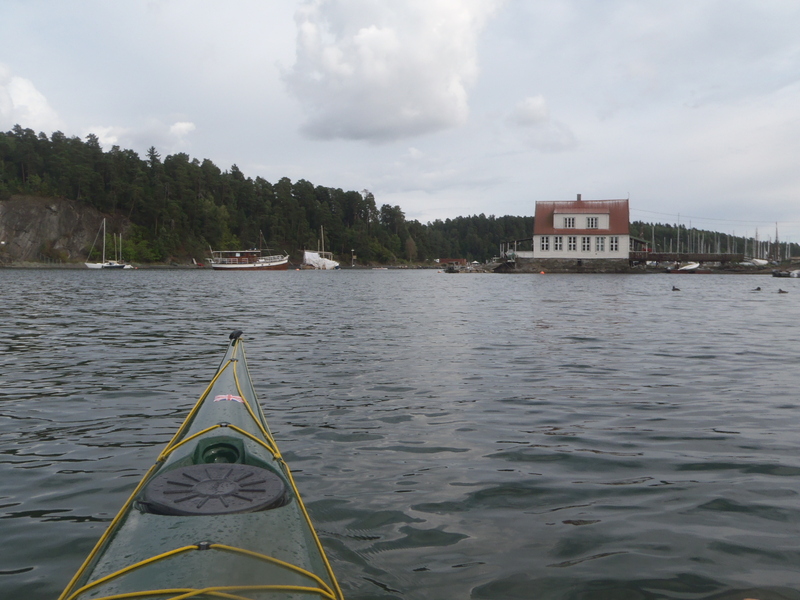 There were other kayakers everywhere from the nearby Oslo kayaking club that wouldn’t lend me a boat. I joined a couple for a bit, but when we got the edge of the marina they decided to turn back since the sea was a little rough for them. 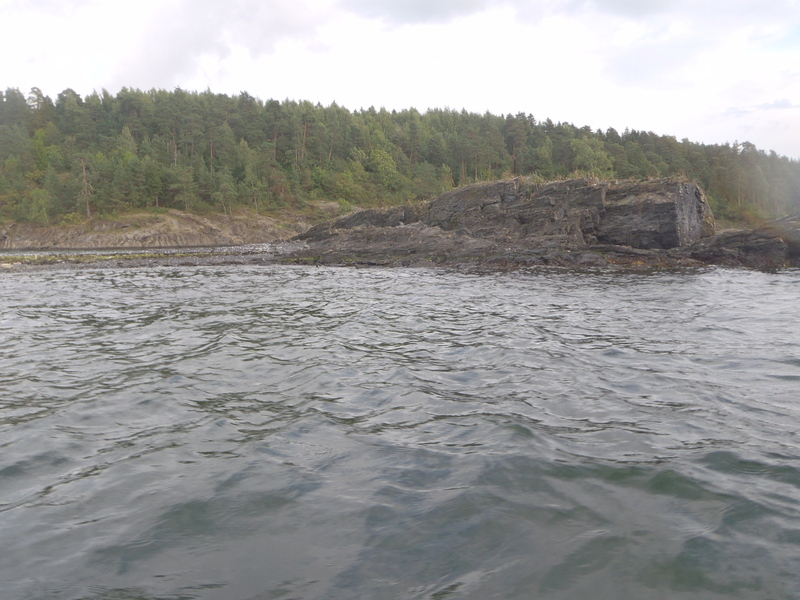 I continued out to sea with a beautiful wooded park on the stunted cliff shore above me. 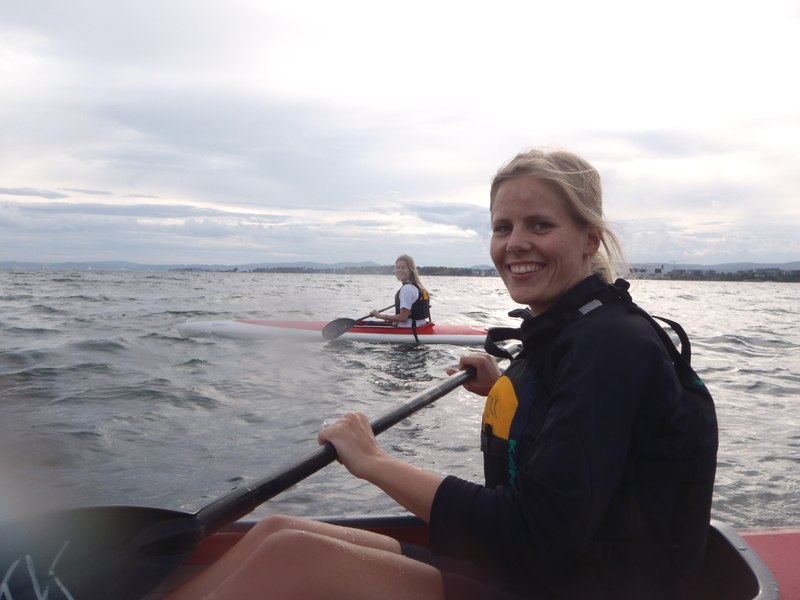 Ahead of me were two young Norwegian women so I sped up a little to kayak with them. By the time one of them turned around I was almost on top of them and so she was startled. Excellent. 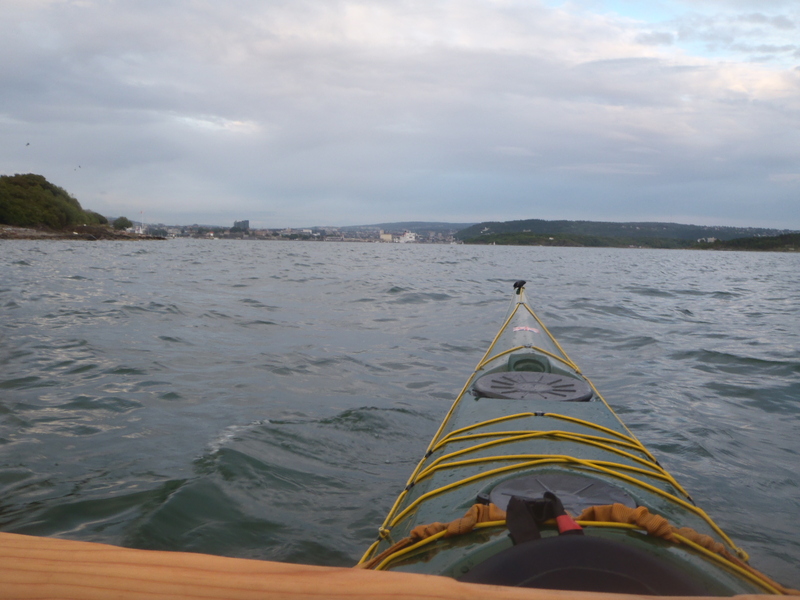 As I paddled along with them and chatted amicably, the gravity of my situation began to dawn on me. Not only was I kayaking and talking with two tall blonde athletic Nordic women, but that these two paradigms of earthly beauty were kayakers! 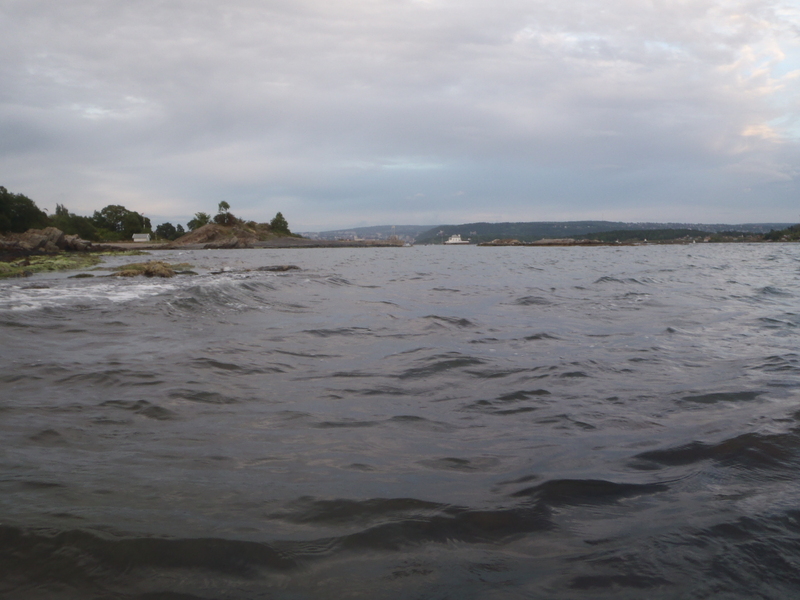 And there I was, on the Oslo fjord. One of them liked my storm paddle. “Here, try it.” It was a miracle I didn’t give it away. I handed her my paddle and she handed me hers. The first thing I noticed was that her paddle was feathered for a left handed kayaker. Controlling my kayak became a challenge. The next thing I noticed was that my new Nordic friend was having a much harder time than I was. 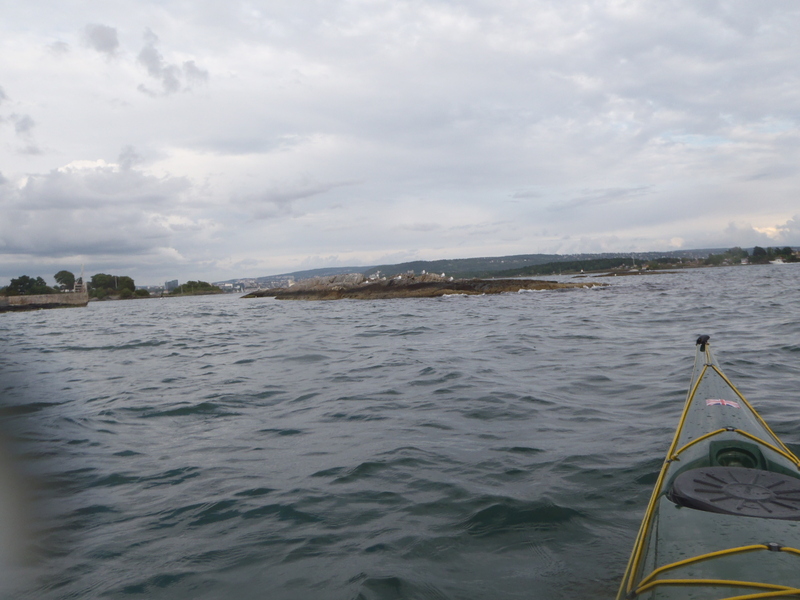 She had completely lost control over her boat and was being pushed quickly into rocks. 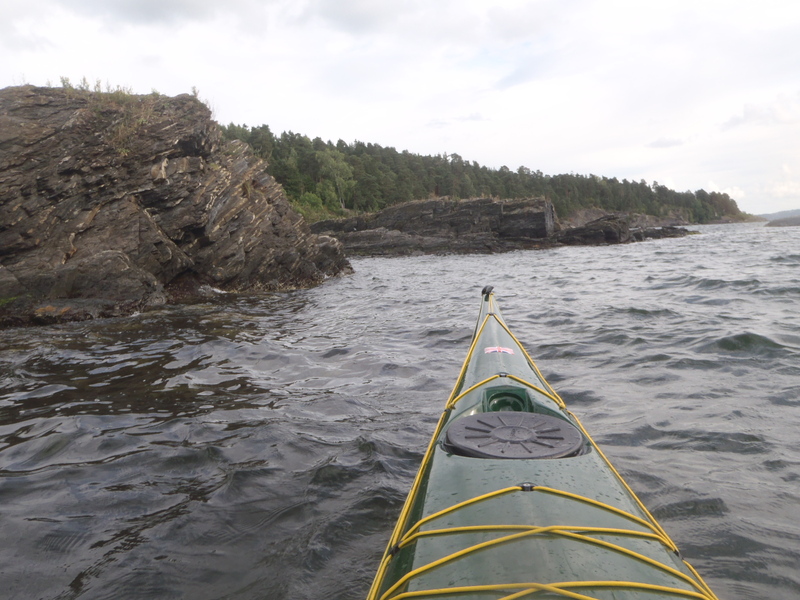 I tried calling out instructions to her, but she was not in an optimal learning environment as her kayak scraped loudly against the bottom of the fjord and she used the but of the paddle to directly wrestle with and stab at the protruding stones. Oh my poor paddle. 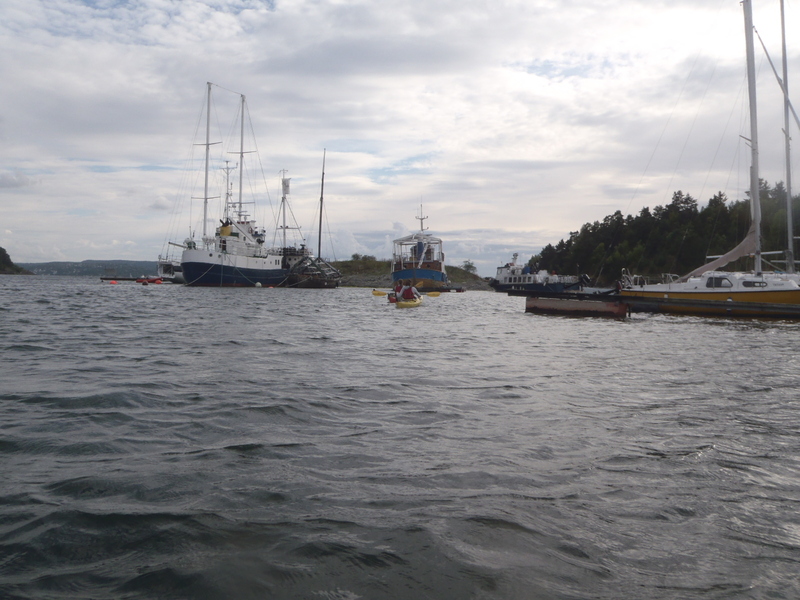 Oh my poor Norwegian kayaking friend! 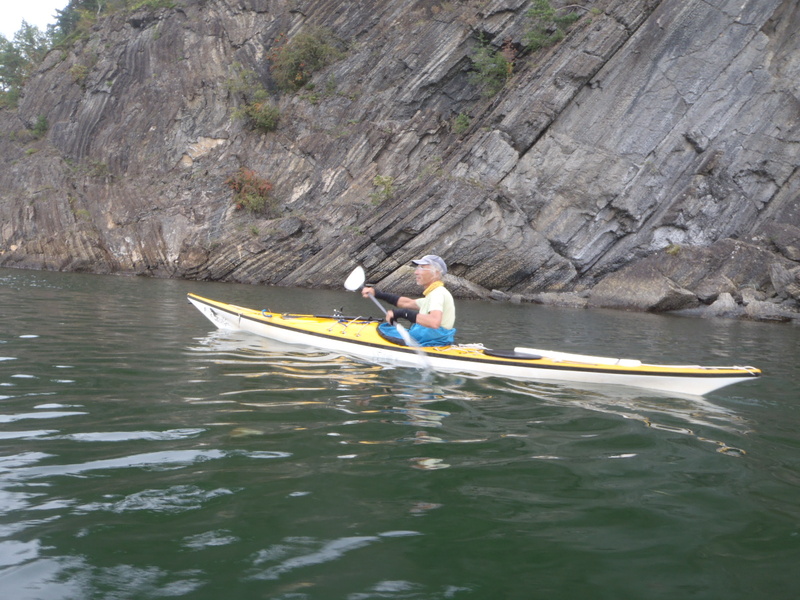 I left hand sprinted to her side and passed her paddle back as she thrust mine to me as quickly as she could. The two of us back in our own elements, we pulled away from those teeth of destruction and the rocks reverted to pristine landscape. I talked about my upcoming trip in the Mediterranean and I gave them some pointers for their forward strokes. When I had the opportunity, I took it and showed off a roll. It was smooth. When I came up, they were shocked. I would have had a long way to swim if I couldn’t come up. I used the opportunity to try to appear manly. I paddled with them a little longer and talked some more. 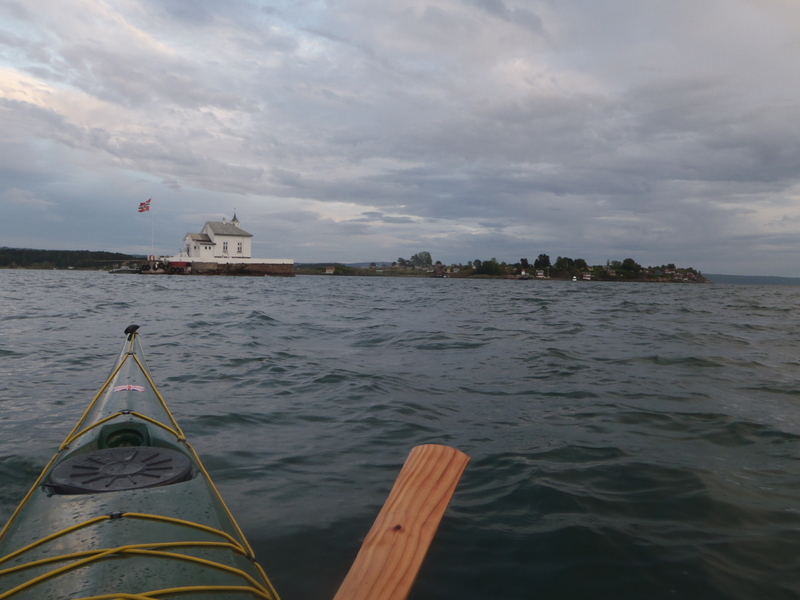 We approached an old white lighthouse; a small house sat next to a squat tower. While my beautiful companions were all smiles and friendly I was overtaken by a wave of self consciousness. 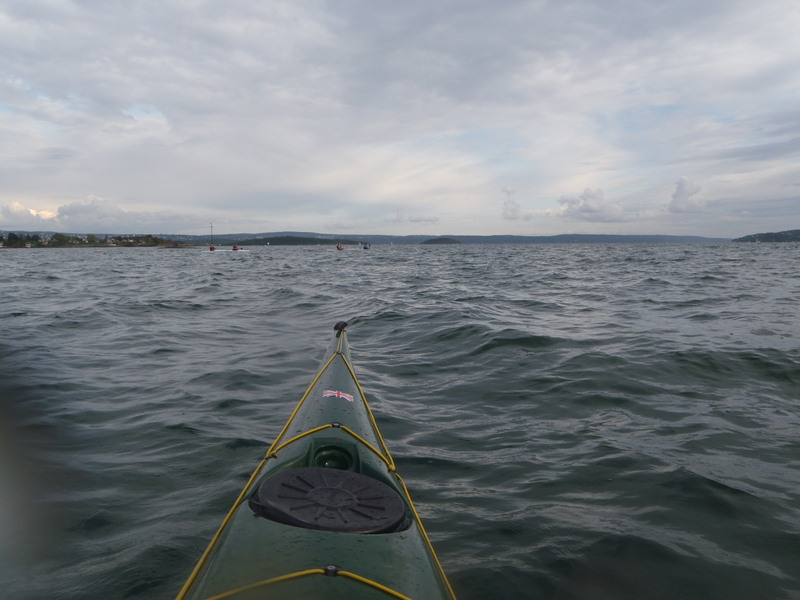 I saw another kayaker off in the distance. He was moving fast and looked serious. 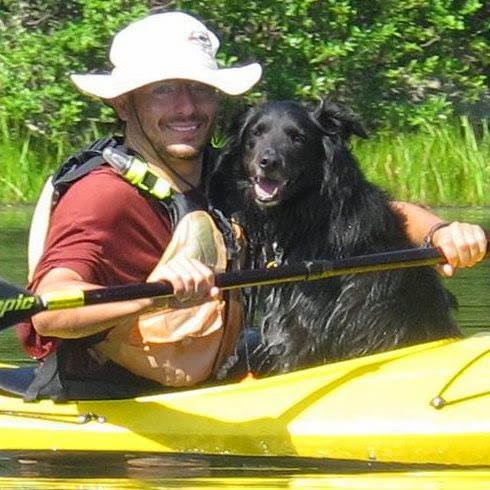 I thought it would be good training to paddle with him for a while. So I said goodbye thinking that they would be glad to be rid of me. “You’re leaving?” the asked in unison. They sounded disappointed. Oh no! I was doing well after all. No worries, I told them. 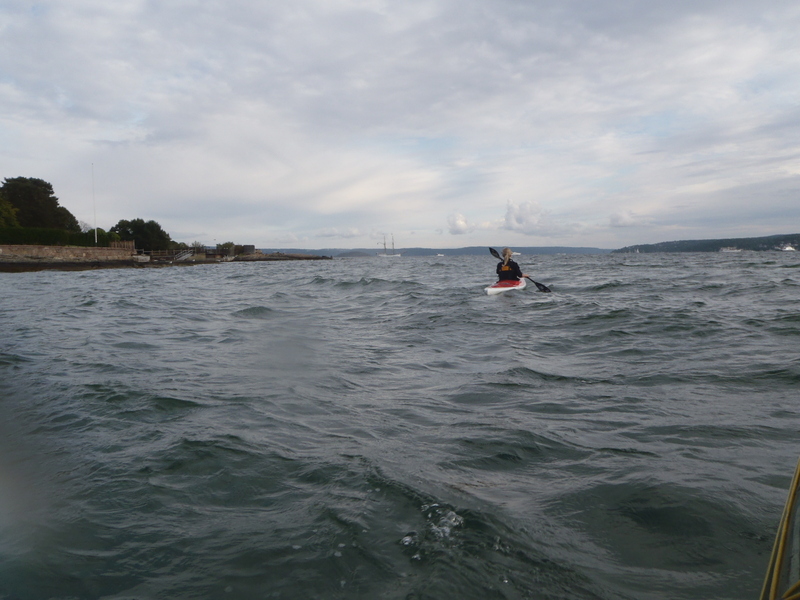 “ I’ll just paddle with him back to the marina and I’ll come and find you later. We talked about the route they would be taking and our meeting again was assured. 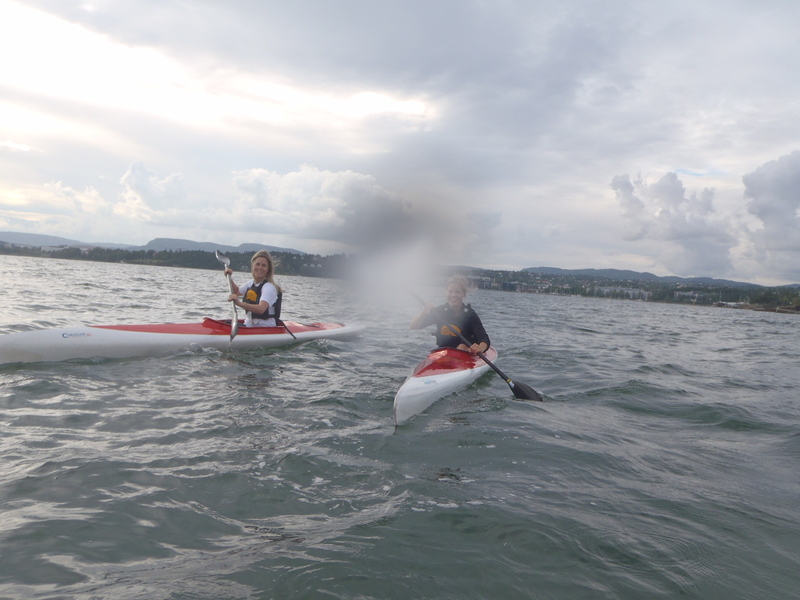 But the English fellow I joined up with, after working fairly hard to catch, was a fun salted paddler. He didn’t wear a life jacket and had socks on his wrists. 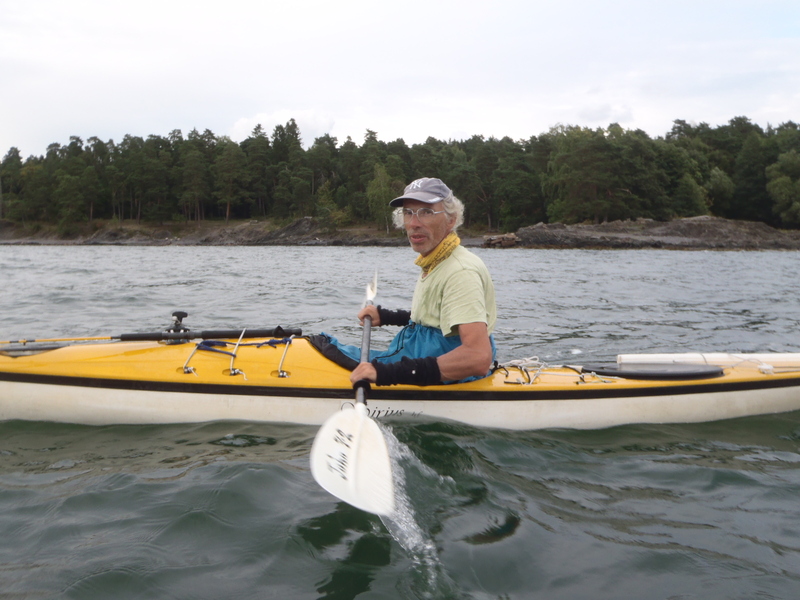 He’s been paddling since well before I was born and talked enthusiastically with me about the great long distance Norwegian kayakers out there. Among other things, Salty cleared up for me the left handed paddle. Apparently, it’s a Norwegian thing to paddle with reversed blades. He took some pictures of me, I of him, and we had a fine time. 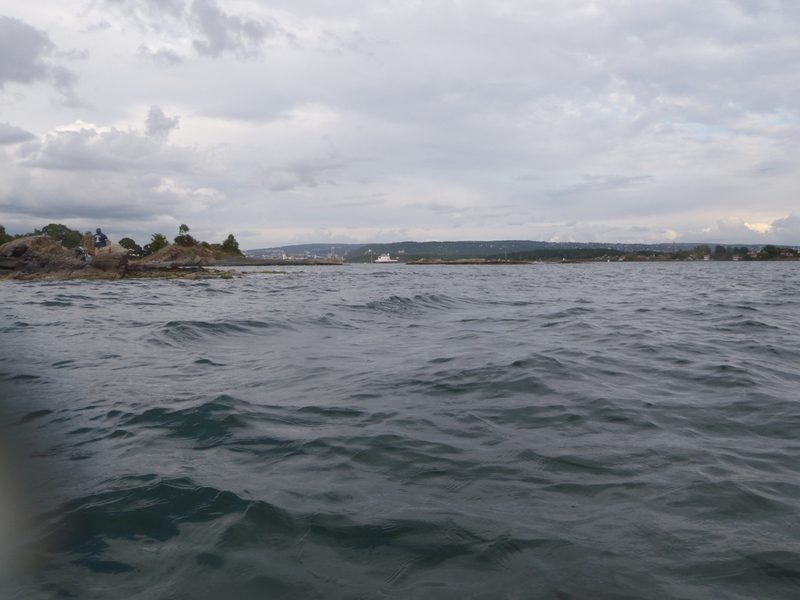 We got back to his paddling club, and I still had a couple of hours remaining before I needed to return so I went back to the lighthouse, taking pictures of the hill and the beaches, but not the old heavy set nudey swimmers, on the way. 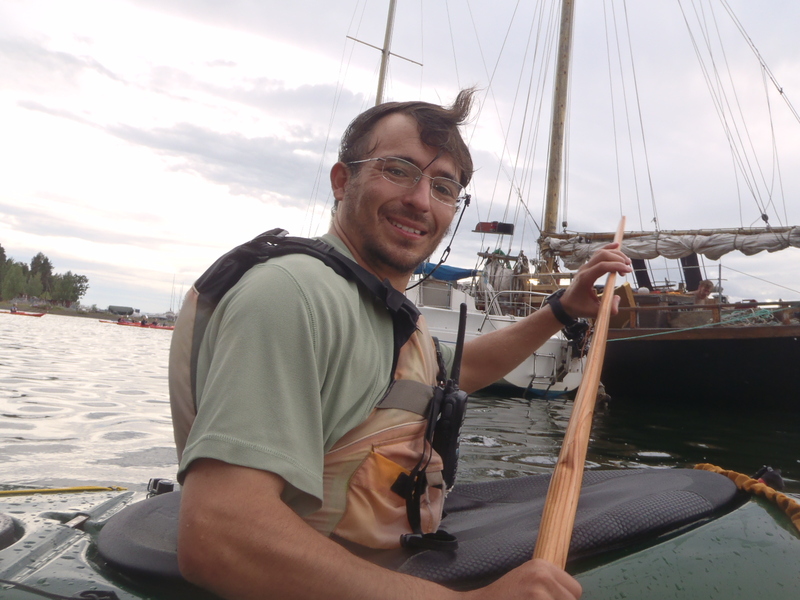 As my evening began to wrap up, I saw two of the yellow kayaks that I had found two days earlier in the parking lot and had a fine time paddling with their friendly owners. 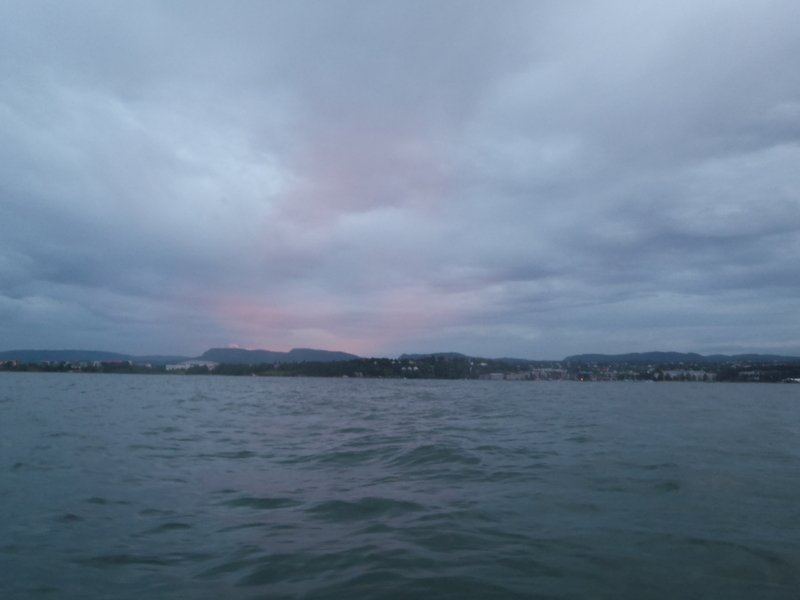 I took a few last pictures of the beautiful sunset over the fjord before my camera’s battery went dead. My five hours on the water were up and I pulled in to put the boat away. My host was again super friendly, and even gave me a ride most of the way back to my hostel. His teenage assistant told me how he had learned from his father how to roll in just a few hours and since then had never missed one. 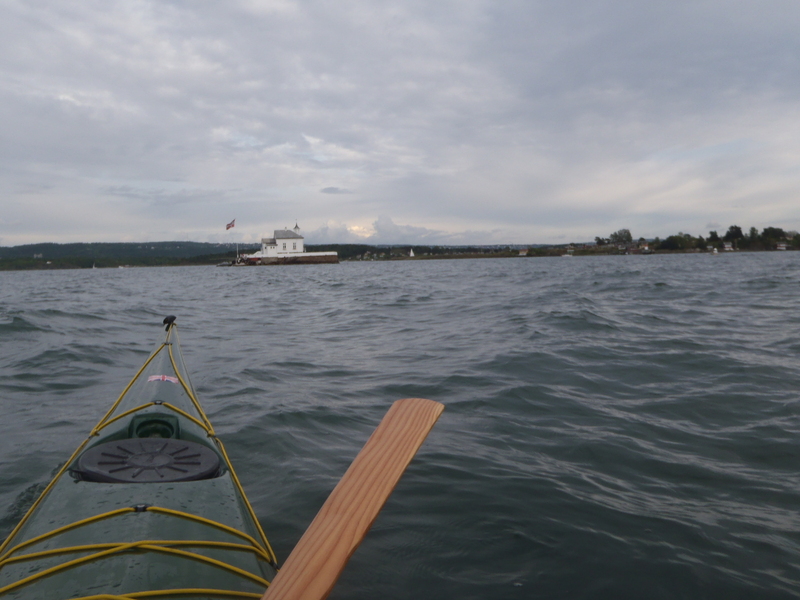 It’s a good thing for me that I’ve come a long way since that challenging day when I had to swim across the Hudson, boat in tow. 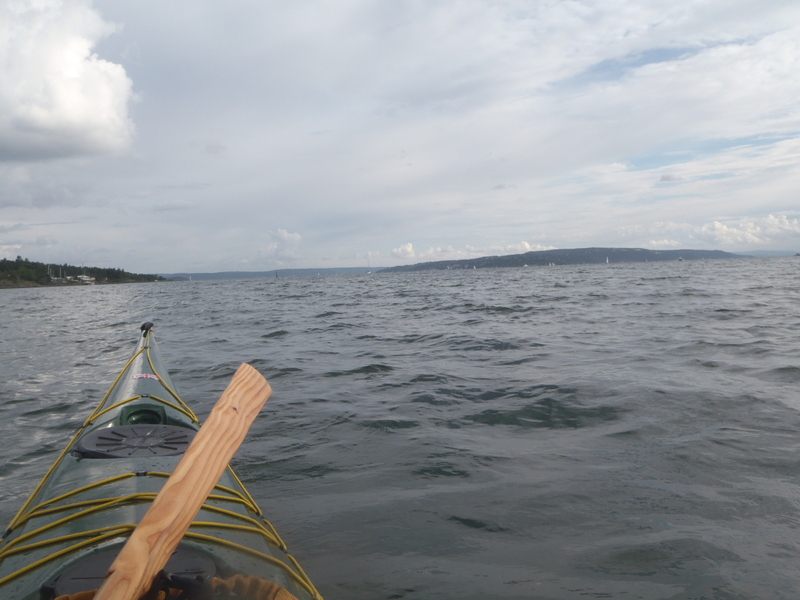 I never would have dreamed that I’d be showing off for Norwegians on Oslo fjord. *I don’t remember if this is the number of the track I was looking for and will remind my reader at this time that nothing whatsoever in this blog should be used for anything other than entertainment purposes, unless you don’t find it entertaining. If that’s the case, you may rely on it for factual purposes. **Pronounced ‘Lee’ and then saker like you just took a bite out of a red pepper that turned out to be a chillie. *** It’s a great word! 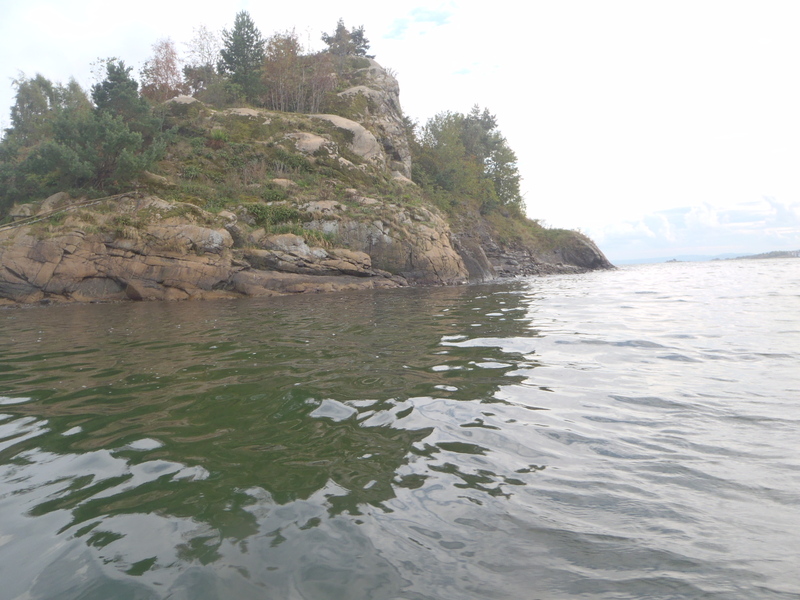 fjord Fjord FJORD fjorD fjord. 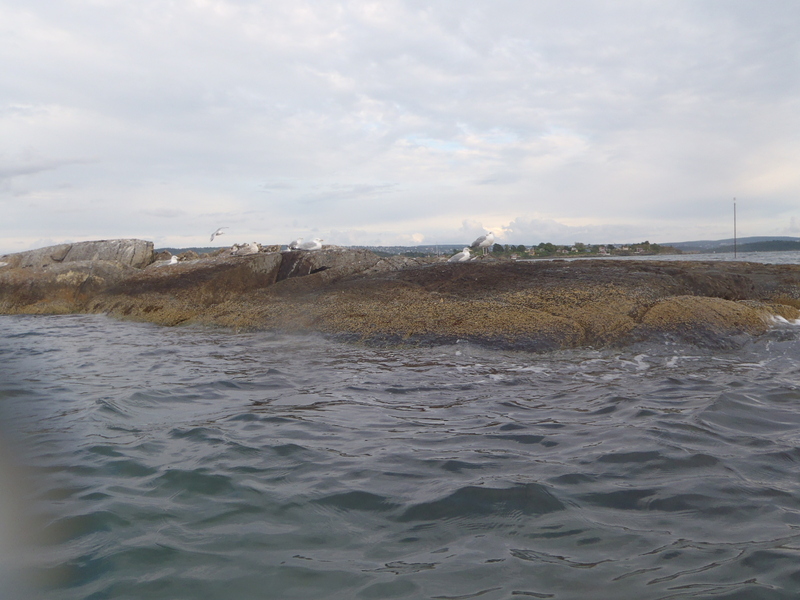 Nice talking to you yesterday in the Oslofjord Dov. 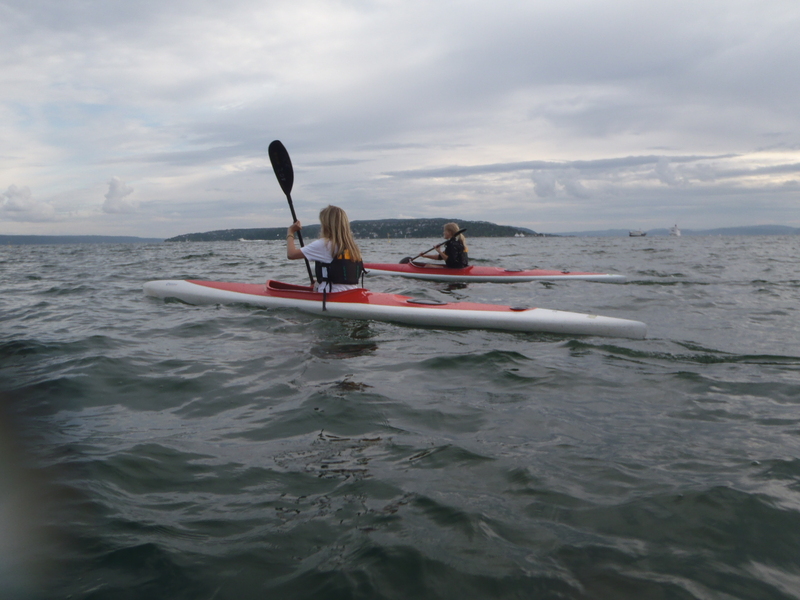 And thanks for the kayak tips&tricks. 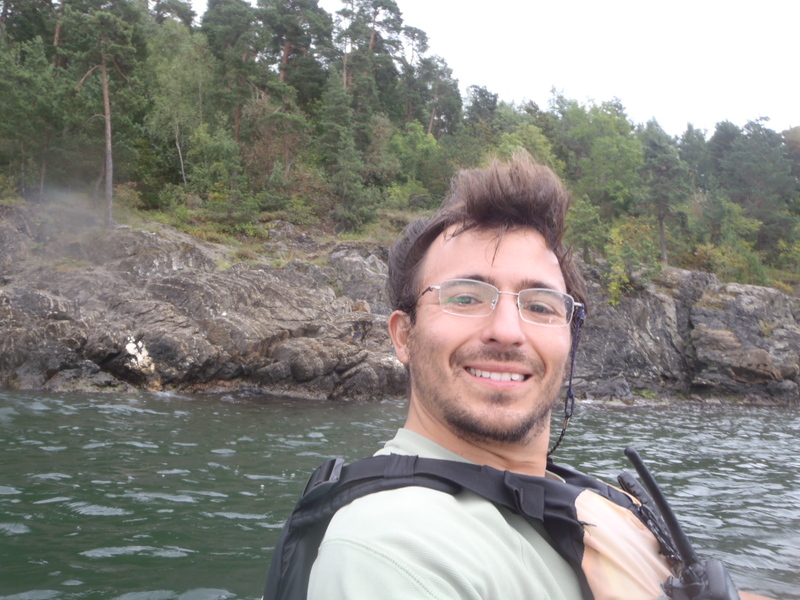 Yah, I had a great time out on the water! 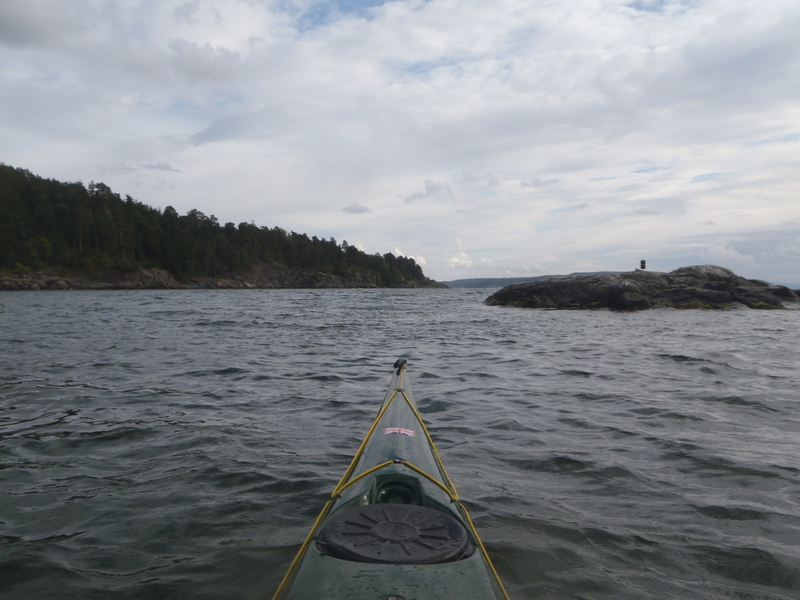 If you change your mind, I'm still looking for a partner for all or part of it, and if I come back to Norway we'll definitely be in touch about paddling. 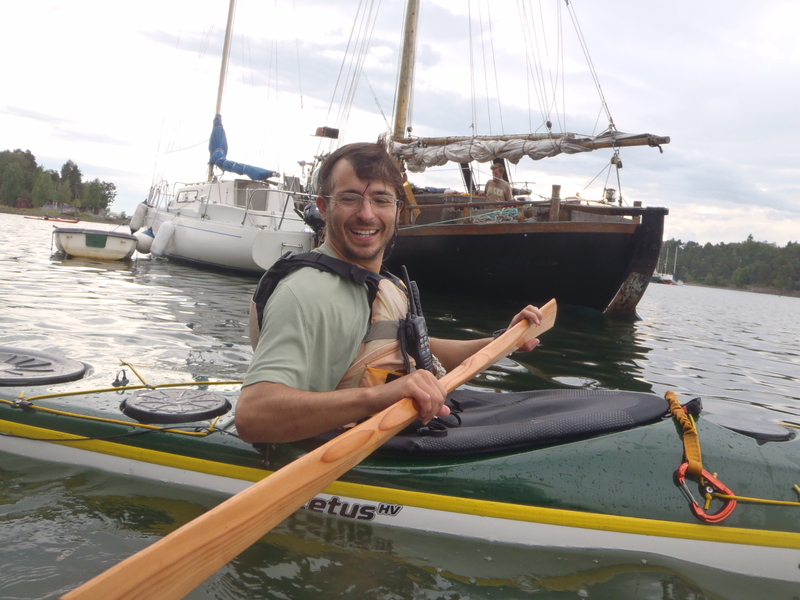 I'd like to give a shout out to John(Salty) who I had a real pleasure kayaking with. It's meant to be ironic. Great question, thanks for commenting.